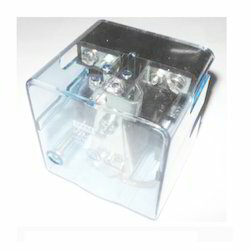 Leading Wholesale Distributor of leone relay sockets 10a, leone relay sockets14f-1z-a1, leone relays, leone solid state relays lda, power relays p30fc and magnetic latching relay 250vac from Pune. 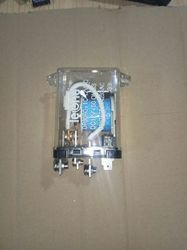 We are offering a wide range of Leone Relay Sockets 10A. The relay plugs into the relay socket. Relay sockets are available in a wide range of sizes, materials, shapes, and colors. While all relay sockets perform the same function, the specific application determines the type of relay socket needed. Specific applications have requirements for the relay socket's rating, dielectric strength, insulation resistance and temperature range. 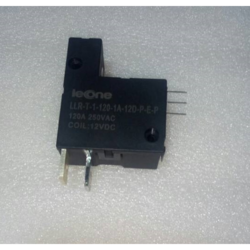 We are offering a wide range of Leone Relay Sockets14F-1Z-A1. The relay plugs into the relay socket. Relay sockets are available in a wide range of sizes, materials, shapes and colors. 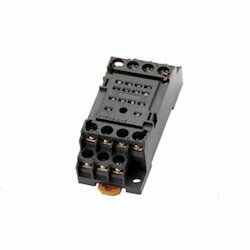 While all relay sockets perform the same function, the specific application determines the type of relay socket needed. Specific applications have requirements for the relay socket's rating, dielectric strength, insulation resistance and temperature range. Minimum Trigger Current 10mA Max. 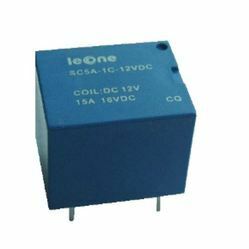 We offer Leone Solid State Relays LDA, which is available in different forms such as photo-coupled SSR, transformer-coupled SSR and hybrid SSR. 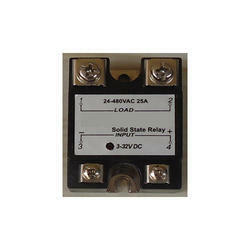 These solid state relays are electronic devices that contain no moving part. Our photo-coupled SSR is controlled by a low voltage signal, which is isolated optically from the load. Due to the control signal of Photocoupled SSR, a LED appears that activates a photo-sensitive diode, which turns on a back-to-back thyristor, silicon controlled rectifier, or MOSFET transistor to switch the load. 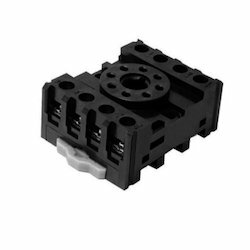 Smaller than a corresponding mechanical relay. Operate Time 15 mSec. Max. Release Time 15 mSec. Max. Contact Resistance 1.0 mOmega Max. 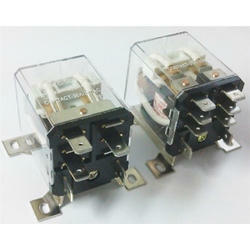 Small size, 80A switching capability. 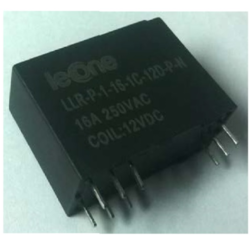 We offer Leone Solid State Relays LAASSR, which is available in different forms such as photo-coupled SSR, transformer-coupled SSR and hybrid SSR. 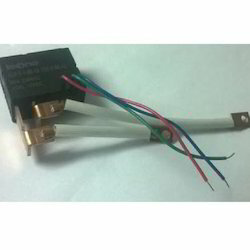 These solid state relays are electronic devices that contain no moving part. Our photo-coupled SSR is controlled by a low voltage signal, which is isolated optically from the load. Due to the control signal of Photocoupled SSR, a LED appears that activates a photo-sensitive diode, which turns on a back-to-back thyristor, silicon controlled rectifier, or MOSFET transistor to switch the load. Operate Time 15 mSec Max. Release Time 15 mSec Max. 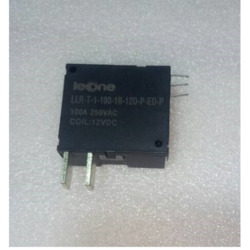 As the name indicates, a Leone Solid State Relays LDA3LAA3 is an electrical switch comprising solid state or electronic components. 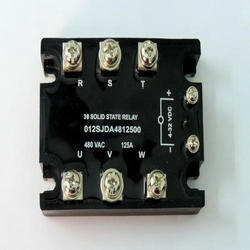 Owing to their nature, solid state relays contain no moving parts. 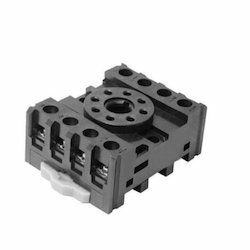 Because no mechanical contacts are opened or closed within the relay, there is no arcing or pitting of contact surfaces, thus no wear-out mechanism. 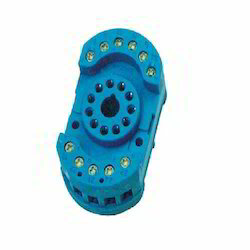 PCB mount; single in line package. High DV/DT and high blocking voltage. Low input power consumption, TTL, and CMOS compatible. 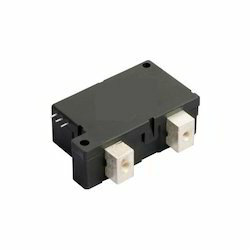 Zero voltage turn-on, zero current turn-off (minizes EMI/RFI). High surge rating allows lamp and motor load switching. Contact Resistance 2 mOmega Max. Operate Time 20 mSec. Max. Release Time 20 mSec. Max. 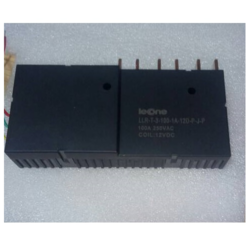 Small size, 60A switching capability. 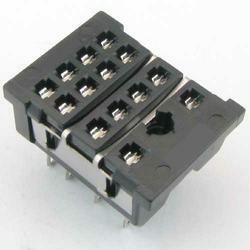 Small size, 10A switching capability. 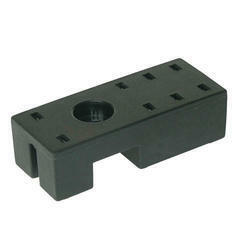 We are offering a wide range of Leone Relay Sockets 10A.The relay plugs into the relay socket. Relay sockets are available in a wide range of sizes, materials, shapes, and colors. While all relay sockets perform the same function, the specific application determines the type of relay socket needed. 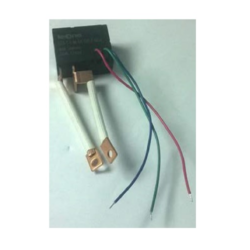 Specific applications have requirements for the relay socket's rating, dielectric strength, insulation resistance and temperature range. 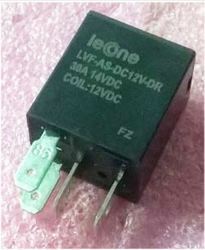 We are offering a wide range of Leone Relay Sockets14F-2Z-A1. The relay plugs into the relay socket. Relay sockets are available in a wide range of sizes, materials, shapes and colours. While all relay sockets perform the same function, the specific application determines the type of relay socket needed. Specific applications have requirements for the relay socket's rating, dielectric strength, insulation resistance and temperature range. 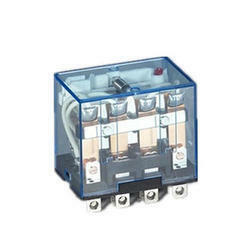 We are offering a wide range of Leone Relay Sockets 30 VDC. The relay plugs into the relay socket. Relay sockets are available in a wide range of sizes, materials, shapes, and colors. While all relay sockets perform the same function, the specific application determines the type of relay socket needed. Specific applications have requirements for the relay socket's rating, dielectric strength, insulation resistance and temperature range. 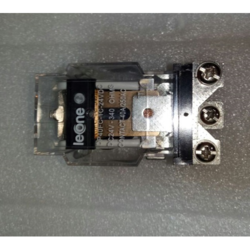 We are offering a wide range of Leone Relay Sockets PYF08AE. The relay plugs into the relay socket. Relay sockets are available in a wide range of sizes, materials, shapes, and colors. 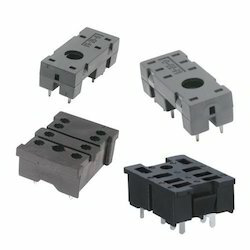 While all relay sockets perform the same function, the specific application determines the type of relay socket needed. Specific applications have requirements for the relay socket's rating, dielectric strength, insulation resistance and temperature range. 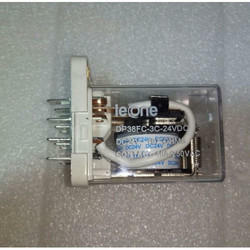 We are offering a wide range of Leone Relay SocketsF-083-AE- DIN.The relay plugs into the relay socket. Relay sockets are available in a wide range of sizes, materials, shapes, and colors. While all relay sockets perform the same function, the specific application determines the type of relay socket needed. Specific applications have requirements for the relay socket's rating, dielectric strength, insulation resistance and temperature range. 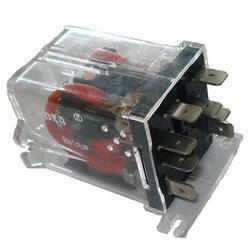 We are offering a wide range of Magnetic Latching Relay. We are offering a wide range of Leone Relay Sockets 9023. The relay plugs into the relay socket. 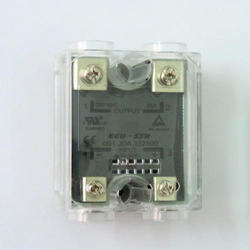 Relay sockets are available in a wide range of sizes, materials, shapes and colors. While all relay sockets perform the same function, the specific application determines the type of relay socket needed. 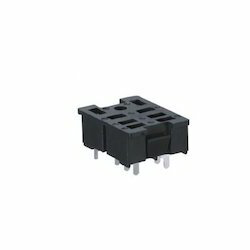 Specific applications have requirements for the relay socket's rating, dielectric strength, insulation resistance and temperature range. 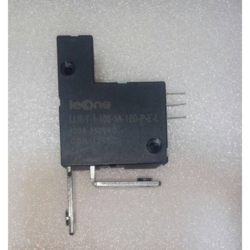 We are offering a wide range of Leone Relay Sockets PYF14AE .The relay plugs into the relay socket. Relay sockets are available in a wide range of sizes, materials, shapes, and colors. While all relay sockets perform the same function, the specific application determines the type of relay socket needed. Specific applications have requirements for the relay socket's rating, dielectric strength, insulation resistance and temperature range. 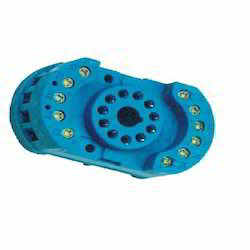 We are offering a wide range of Leone Relay Sockets PY08. The relay plugs into the relay socket. Relay sockets are available in a wide range of sizes, materials, shapes, and colors. While all relay sockets perform the same function, the specific application determines the type of relay socket needed. Specific applications have requirements for the relay socket's rating, dielectric strength, insulation resistance and temperature range. 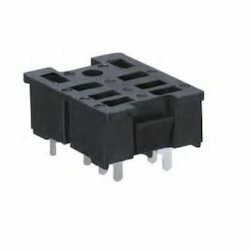 We are offering a wide range of Relay Sockets PT08PT08-0. The relay plugs into the relay socket. Relay sockets are available in a wide range of sizes, materials, shapes, and colors. While all relay sockets perform the same function, the specific application determines the type of relay socket needed. 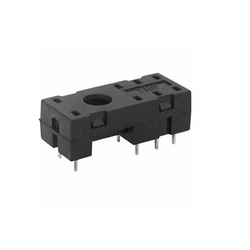 Specific applications have requirements for the relay socket's rating, dielectric strength, insulation resistance and temperature range. 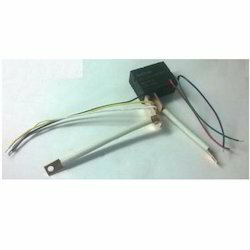 Customized terminals like a shunt, braided Cu-wire etc. 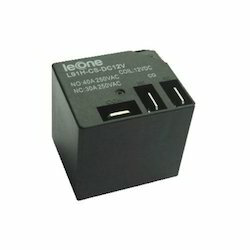 Looking for Leone Relay ?